CHICAGO, ILLINOIS. 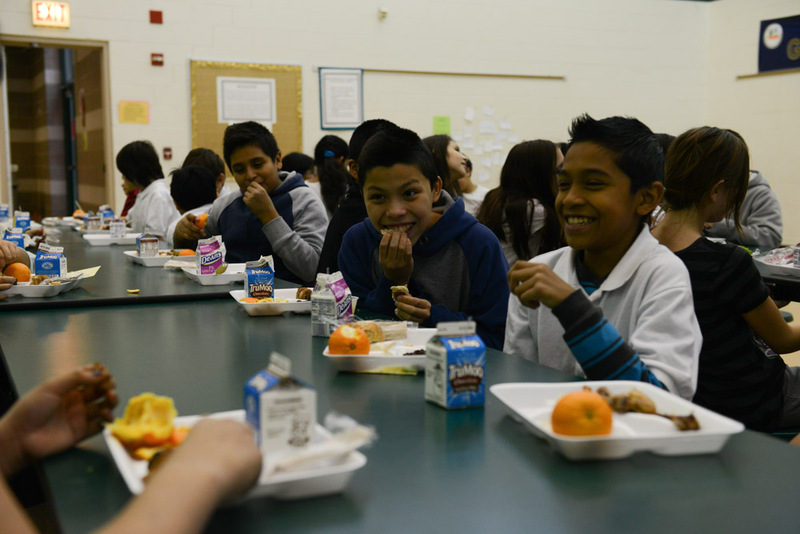 Fifth graders in Ms. Heidy's class enjoy their school lunch in the cafeteria at the Nathanael Greene Elementary School in the McKinley Park neighborhood on December 19, 2014. All but one student in Ms. Heidy's class receives food assistance in the form of the Supplemental Nutritional Assistance Program or SNAP, which includes a free lunch.